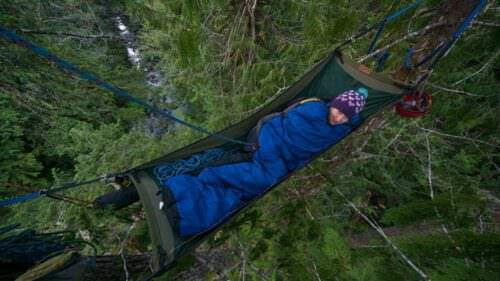 You can camp in a treetop here or on an island here. 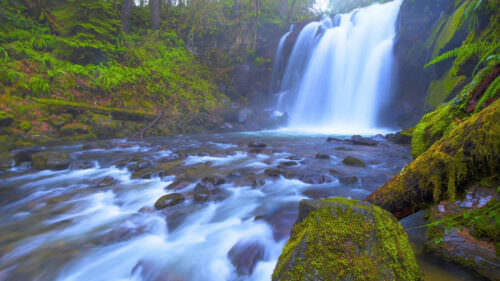 You can hike through old-growth forests amidst jewel-green swimming holes and cascading waterfalls. 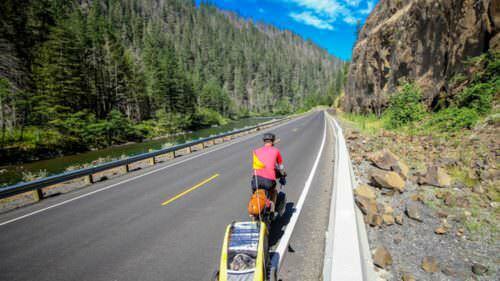 You can fish for trout, bike along riverside backcountry routes and drive some of Oregon’s Scenic Byways. 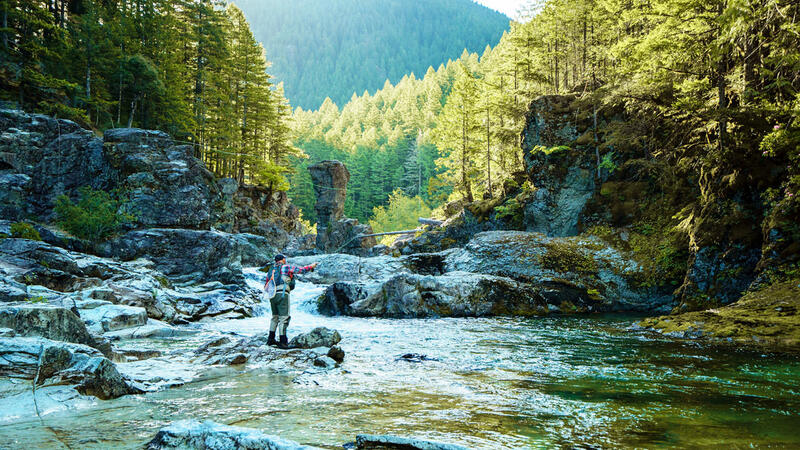 Welcome to Oregon’s Santiam Canyon area — which includes half a dozen friendly communities along Highway 22, just southeast of Salem, where the pace is slower and the rivers, forests and lakes are a natural playground all year-round. It has easy access to the Willamette National Forest, which is providing the 2018 Capitol Christmas Tree, and all its recreational opportunities. Here’s how you can make the Detroit area your gateway to the outdoors. Heading north or south on Interstate 5, take the Highway 22 East (also known as the Santiam Highway) junction in Salem and you’ll soon come upon Sublimity. Aptly named by 19th-century pioneers, Sublimity draws cowboys, cowgirls and rodeo fans every July for its Santiam Canyon Stampede. In Opal Creek or any natural area, remember to follow Leave No Trace practices by staying on trails, packing out all waste, respecting wildlife and other users, and following wildfire guidelines. Find maps to the many trails as well as listings of public classes and events at Opal Creek Ancient Forest Center. Ever want to live among the birds? Expedition Old Growth works with the forest center to help you do just that, letting visitors choose from an easy lift into a tree canopy, a canopy climb or a night of treetop camping in the forest canopy. In the fall and winter months, gear up for mountain biking in the Willamette Valley. Because wilderness areas are closed to cyclists, one of the only trails accessible by mountain bikes is the Opal Creek Trail, a beginner-friendly 6-mile out-and-back route along a gravel road that starts at the Opal Creek Forest Center parking lot. Ready to play on the water? Don’t worry if you don’t have your own kayak, stand-up paddleboard or raft; in the Santiam Canyon you can rent one at eNRG Kayaking in Mill City and explore the local waterways on your own or sign up for a guided tour led by local pros (weekends in October). Families might enjoy a scenic float (age 8 and up) by kayak or raft down the north fork of the Santiam River — considered one of the best spots to paddle in Oregon, since it has good flow year-round. For more of an adrenaline rush, take on the whitewater section (age 12 and up). The first thing you’ll see in Detroit is the Detroit Dam, which rises 463 feet out of the North Santiam River. The 9-mile Detroit Lake is a destination unto itself, where wakeboarding, water skiing, tubing and other types of motorized and non-motorized craft are welcome. Or, set up a chair and cast a line — Detroit Lake is considered one of the best spots to catch rainbow trout in the United States, thanks to the loads of hatchery fish deposited here. Kokanee and chinook are also plentiful. Two marinas on the lake offer boat rentals. Make sure to stock up on fuel, water, snacks and other provisions at the gas stations and grocery stores here before heading out into the lake. Fun fact: Detroit was named for the number of people from Michigan who lived here in the 1890s. In the winter, the focus shifts from the lake itself to the broader Detroit Lake State Recreation Area, which offers miles of snowshoe trails through old-growth forests. Hoodoo Ski Area is less than an hour south, with its Autobahn snow-tubing park, which opens in December depending on snow conditions. Check for more winter adventures in the area. For cyclists, Detroit Lake is a launchpad for adventure, a hub of criss-crossing scenic bikeways that offer remote roadways and plenty of stunning Oregon landscape. 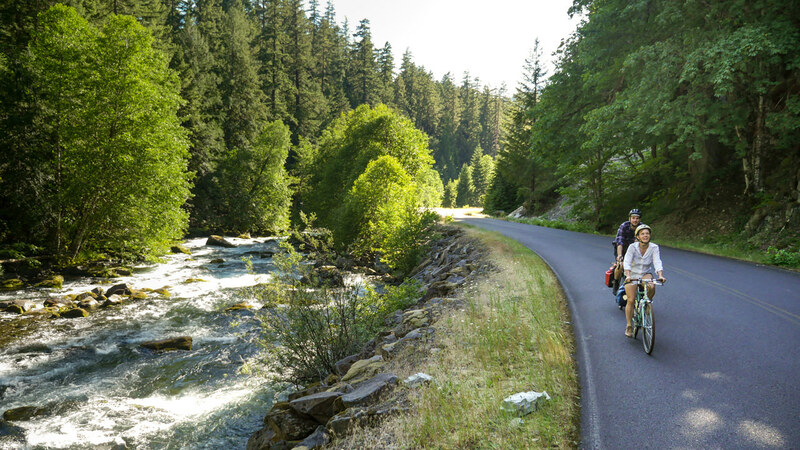 Spring through fall, cyclists can ride a portion of the 220-mile West Cascades Scenic Byway that passes north to south from Estacada to Oakridge as it joins up with the Santiam Highway near Detroit Lake. The challenging 70-mile Cascading Rivers Scenic Bikeway, which runs from Estacada to Detroit, is another epic ride — with views of the Wild and Scenic Clackamas River along rocky riffles, quiet pools and reservoirs. 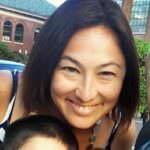 Also in the Mt. Jefferson Wilderness, birders will find the Mt. Jefferson section of the Oregon Cascades Birding Trail — a self-guided tour of nearly 200 prime birding destinations in the Oregon Cascades. This area provides songbird habitat in its hardwood stands, while osprey use lakeshore snags and trees as roosts and nesting sites and waterfowl including common mergansers nest at the lake. Camping: Did you know there’s an island in Detroit Lake that you can camp on year-round? Piety Island Campground is accessible by boat only, with 22 sites for tent campers (available on a first-come, first-served basis) looking for quiet amidst the lush, densely forested area. From here, you can take the short but challenging 3.2-mile trail to Piety Knob, the high point of the island. You can also camp Detroit Lake State Recreation Area, on the north shore of the lake, with views of snow-capped Mt. Jefferson. During the summer months (late May through mid-September), you can also find a site at Cove Creek Campground, Hoover Campground, Southshore Campground and Riverside at Detroit. 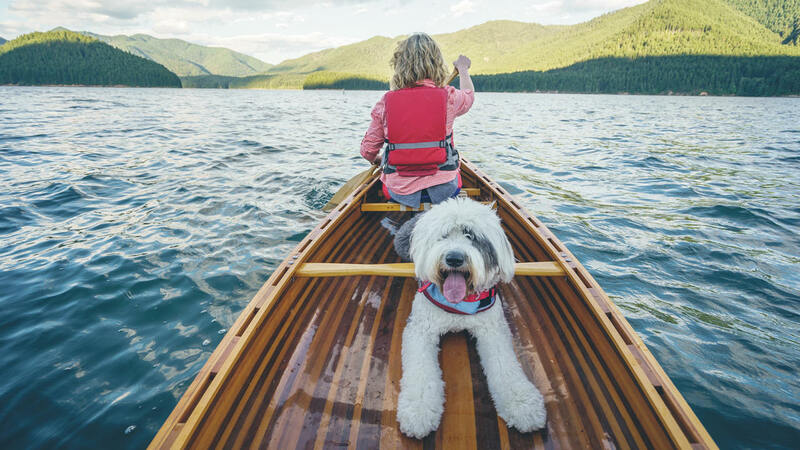 Motels, B&Bs and lodges: When it’s too cold to camp or you just want to indulge, The Lodge at Detroit Lake is a dreamy pet-friendly winter getaway. The 12 rooms (with names like Hoodoo Hideaway and Piety Abode) are equipped with fireplace and jetted tubs for those sore muscles. Rushing River Retreat in Idanha is a boutique bed-and-breakfast with private balconies overlooking the river, ideal for nature lovers to unplug. Breitenbush Hot Springs Retreat and Conference Center offers cozy cabins alongside natural hot springs and steam saunas, plus massage, yoga and meditation. Other options include newly renovated apartment-style units at the Detroit Lakeside Motel and All Seasons Motel in Detroit.